Paglen, T. (2010). They watch the moon. The NSA is listening. To you, to me, to entire countries at a time. Through its tapping, intercepting, recording, and querying, the NSA is eroding our capacity to freely search, communicate, and even move throughout space. It is through these mediums we signal our curiosities, fears, hopes, and passions – the very sentiments that make us human. At risk, under a government with limitless power to surveil, is our humanity. Recent revelations regarding illegal, warrantless NSA spying programs such as ECHELON, PRISM, and BOUNDLESSINFORMANT have made unambiguous this bleak phenomenon. And while the ubiquity and omniscience of the United States’ surveillance state is indisputable, disconnected to our understanding are the built infrastructures enabling these programs, and how our physical and digital trails relate spatially to these satellites, listening stations, switch operators, and fiberoptic cables. To effectively protest or disrupt the NSA’s capabilities, and to protect ourselves from a government body whose stated mission is to “collect it all,” we must first deconstruct and draw these networks. A shadow organization’s undoing is illumination. Enter the designer. We wait not for irresolute legislative nudges, but instead weaponize our knowledge of multispectral sensors, satellite orbit paths, and radio wave attenuation through vegetative and building materials to confound these infrastructures of mass surveillance. The systems-oriented representational agenda of landscape architects and urban designers positions us to disentangle the NSA’s highly secretive and convoluted networks, and in doing so exploit technological gaps so as to proffer moments of anonymity and reprieve. Despite the U.S. government’s prowess in tapping fiberoptic cables, intercepting satellite transmissions, and imaging the Earth at sub-one-meter resolution, our ability to protect ourselves nevertheless returns to factors within designers’ purview, such as radio wave transmission and imaging techniques. To the former, before our data is transmitted to compromised fiberoptic cables, it takes the forms of radio waves, which can be attenuated via specific building materials, such as metal, concrete, and ceramic, as well as water. Certain vegetative species carry more water, which combined with high canopy density, can serve to sufficiently weaken radio signals. GPS is a product of 24 roving U.S. Air Force satellites, and direct access to four at any given moment is required to locate one’s position. Targeted landforming and the aforementioned use of materials can strategically shelter our location from these satellites. With respect to imaging, we are well-versed in the knowledge the Earth is not being photographed, but rather sensed along particular wavelengths with multispectral sensors and then processed and composited computationally. We can thus employ highly specific forms of camouflage given the understanding that heat and other refractive elements can be crucial in obfuscating our form and activities. In the pursuit for privacy, we need not construct a Faraday cage to encompass the whole earth or hide away in the farthest reaches of the civilization. We can, however, deconstruct the very methods being used against us in service of what designers have always done: amplify the elements of a societal or administrative failure and ameliorate through grounded intervention. Relying on this process is the key to protecting our civil liberties and, ultimately, maintaining our humanity. Bamford, J. (2008). The shadow factory: The ultra-secret NSA from 9/11 to the eavesdropping on America. New York, NY: Doubleday. Kurgan, L. (2013). Close up at a distance: Mapping, technology & politics. New York, NY: Zone Books. Poitras, L. (2016). 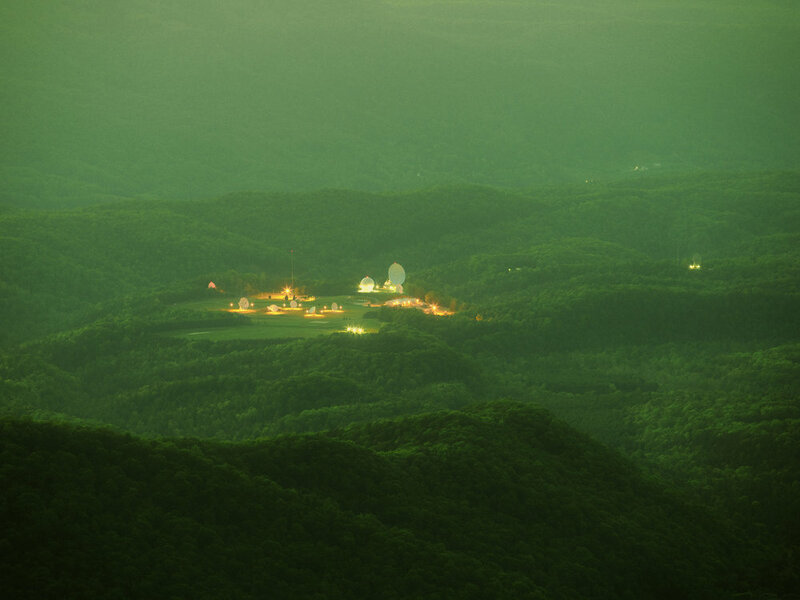 Astro noise: A survival guide for living under total surveillance. New Haven, NY: Yale University Press.